Is Gratitude a Niche Marketing Strategy? Adding the simple words “Thank You” to your business and marketing communication can go a long way. Unfortunately, it’s becoming more and more rare to hear these words. According to Dave Kerpen, author of Likeable Business, those who are grateful have less depression, envy, and grief. They earn more money and are healthier. Those who work gratitude into their business, giving back to charity and thanking employees, customers and partners on a regular basis, are more likeable, which leads to greater brand value and prosperity. One of the quotes Kerpen uses in the book surprised me. According to the CEO of Score It Forward, whose mission is to give a soccer ball to every child, says, “[Gratitude] is a niche.” Shouldn’t gratitude be the norm in both our personal and business worlds? Let’s bring more gratitude to our lives when possible. Kerpen has some good ideas on how to be more grateful at work. 1. Give back to your customers and partners with special offers. 2. Ask employees to do a specified number of “good deeds” each day or week. 3. 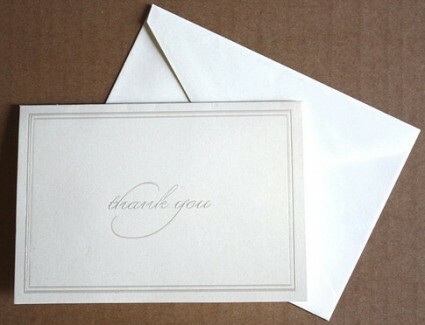 Write thank you letters or notes when someone does exceptional work. 4. Name something you’re grateful for at the start of each meeting. 5. Focus on the wonder in the world, not the negative. How do you show gratitude? Do your customers and vendors feel appreciated? Do you appreciate and thank your employees? Thanks for sharing this story Jennifer. I enjoyed reading it. Looking forward to reading more posts from you. 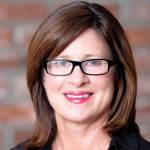 Next post: Is Marketing Staffing Going the Way of IT?